Colour Fusion Hair Colour by Redken is a modern, permanent colour cream that delivers healthy-looking, multi-dimensional hair colour. With more than 100 shades, it can be used to lighten, darken, match natural hair colour, cover gray or create high fashion techniques. To maximize its amazing performance, Colour Fusion features an advanced formula that will enhance your colour service in every way. Colour bond Technology infuses Colour Fusion's signature multi-dimensional colour with optimum durability, condition, shine, and much more! We also offer Redken Chromatics this is a Zero ammonia, zero odour hair colour range that offers 100% grey coverage and delivers maximum shine and condition to your hair. 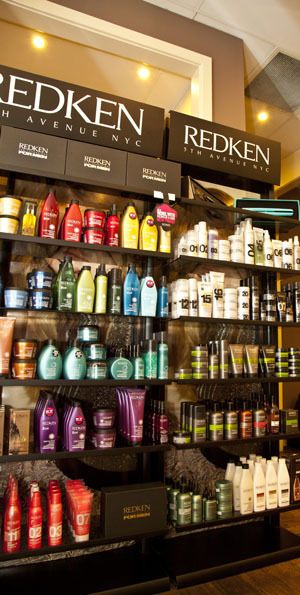 Redken has a large range of Shampoos and conditioners as well as hair styling products. Redken For Men has a range of shampoo and styling products designed especially for men. GHD - We stock all GHD Irons and Iron gift packs.